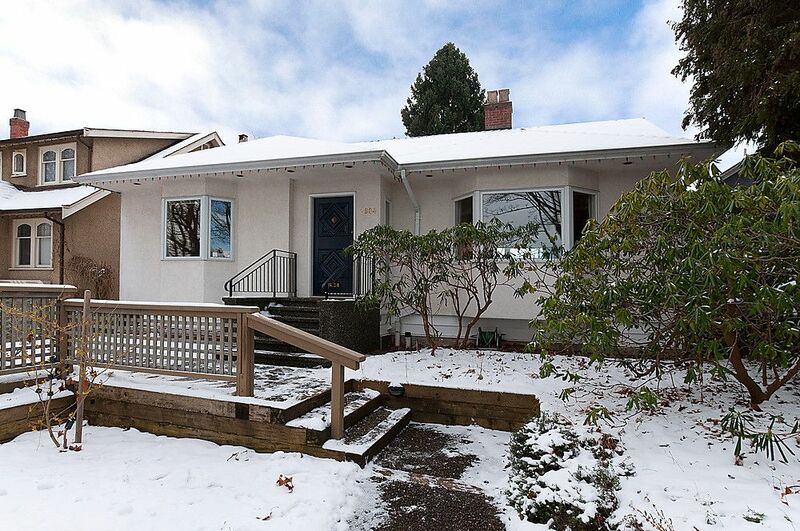 New listing in MacKenzie Heights (49.5 x 130' lot). PRIME property with VIEW potential. A spacious rancher style home with generous living & diningr ooms and updated kitchen / eating area. Two bedrooms on the main floor with recreation room and workshop in the basement. South facing PRIVATE backyard and excellent accommodation in the basement. Well maintained by long time owners. 2 car garage. Close to Prince of Wales Secondary, Kitchener Elementary & St. Georges Schools as well as Balaclava Park and Dunbar shops.